Work with render channels in Softimage | 3D World. Accompanying video for an Ola Madsen tutorial. How do you get rid of a reference material library when you don’t need it anymore in a scene? If you try to delete it, you just get this message “ERROR : Invalid procedure call or argument: ‘DeleteObj’ “. – Change the scope to Materials. 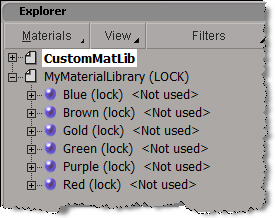 – Right-click the reference material library, click Locks, and then click Unlock all levels. – Now you can delete the reference material library. 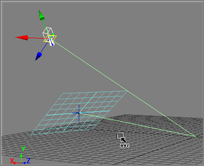 A quick, short overview of tagging rigs and transferring animation rig-to-rig. You can use Ref mode to quickly set up the camera so that it is looking straight down at a reference plane. Set the current reference plane. Activate the Ref transform mode (in Ref mode, values are relative to the active reference plane). Select the camera interest, and in the Transform panel enter X=0, Y=0, Z=0. Select the camera and set X=0 and Z=0. You can also set the Y, or just go to the viewport and use the mouse scroll wheel to pull back from the reference plane. Here’s a script that does this for you. The script works with a default Softimage camera rig: just select some part of the camera rig and the script will figure out the rest.